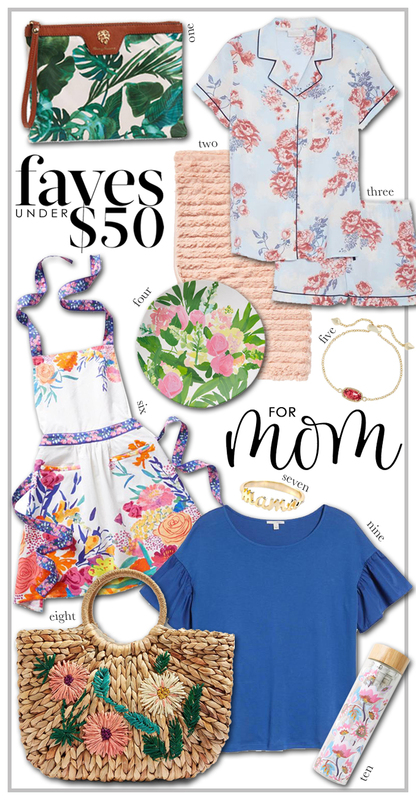 Faves Under $50 | Mother's Day Edition | hi Sugarplum! Today I’m sharing a new Faves Under $50…and this one is geared towards the Mamas in our life! Or in my case, my own wish list for Mother’s Day gifts! I’m always checking on New Arrivals for home and wardrobe, and these new deals have caught my eye. I hope they inspire some great Mother’s Day gift ideas for you. one // Palm Print Clutch You saw this palm clutch in action in yesterday’s Work to Weekend post…I adore the fresh print! It’s so versatile and coordinates with so many colors and patterns. Plus, it’s lined in waterproof material, so it’s a great addition to your pool or beach bag, too. two // Plush Throw Who doesn’t love wrapping up in cozy softness at the end of every day? There’s always a fight over who gets this throw in our house. And Mama usually wins! three // Floral Pajama Set I love the soft floral print with contrasting piping of this pajama set, plus it’s super soft and lightweight for Summer. four // Floral Plate Set This durable outdoor plate is part of a gorgeous set of artist’s watercolors, and the prettiest addition to your dinner table. five // Birthstone Bracelet A delicate bracelet in Mom’s birthstone (or the stone of someone you love! ), with adjustable slide closure for perfect fit. six // Floral Apron I don’t do a lot of cooking, but I still appreciate a fun apron! This one combines all my favorite colors in a lovely floral print. seven // Mama Ring Celebrate Mom with this delicate script ring, in either gold or silver. eight // Floral Straw Tote Straw bags are everywhere this season, and this one is a great size for everyday with a cute ring handle and the prettiest floral embroidery. nine // Ruffle Sleeve Tee I’ve featured this tee in a previous Faves Under $50 and a Dressing Room Diaries…and yet, I’m showing it again! I just love it that much, and need this bright blue! So cute with white jeans, and that floral tote, of course! ten // Tea Infuser Water Bottle This pretty floral water bottle has a built-in diffuser for brewing tea on the go! What’s your favorite from this round of Faves Under $50? Have you spotted any great deals lately? What’s on your Mother’s Day wish list? I’ll be forwarding this post to Mr. SP, that’s for sure! next article: Win the Gibson x Hi Sugarplum Collection! That straw tote is SO CUTE! The shape, the design, the colors..I love it all! A n y t h i n g botanical! Yes! 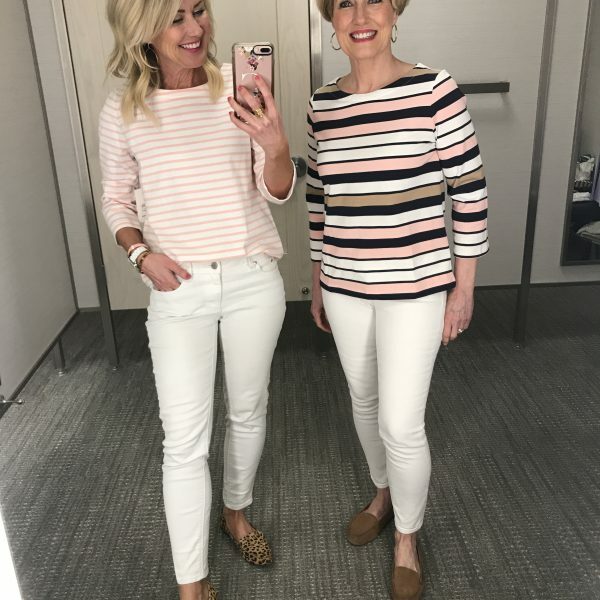 I used to like your blog but recently it has just become just one long Nordstrom commercial. 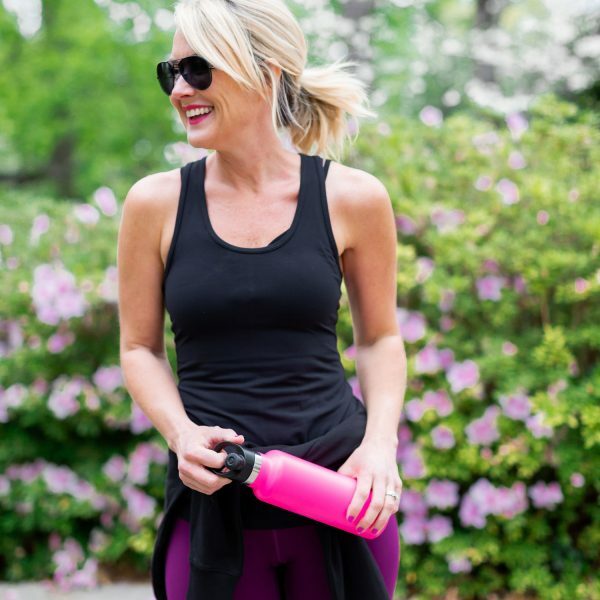 I share new finds from all my favorite retailers, and yes, Nordstrom tops that list. I’ve yet to find another retailer that offers their level of customer service, guarantee satisfaction on all purchases, plus free shipping and returns. 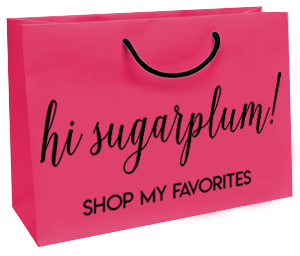 I’ve also partnered with them to exclusively carry the Gibson x Hi Sugarplum line!